It's finally the time of year when we can start featuring outdoor projects! 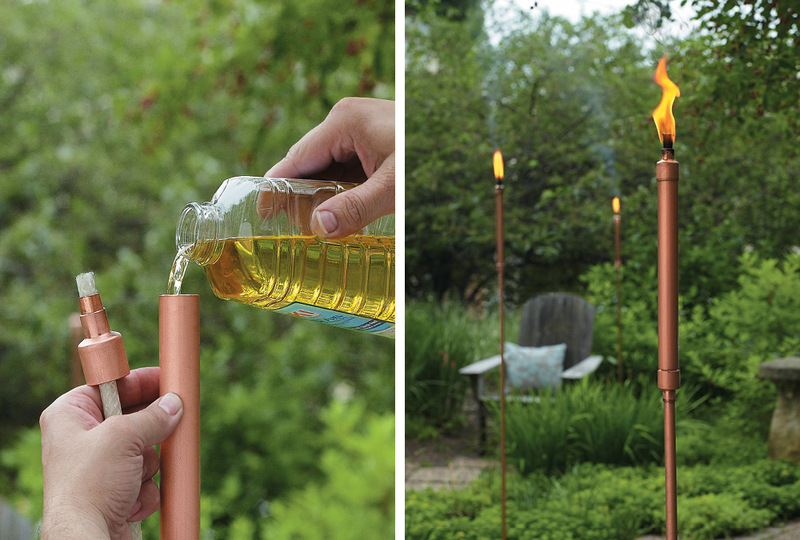 To kick things off, we came up with a clever DIY approach to patio torches. You can make a set in just one afternoon and be able to light up your yard by nightfall. Not only do these torches offer outdoor lighting and help keep bugs away — like typical store-bought versions — they also have a unique and stylish look. The secret material: copper plumbing fixtures from the home center. Of course, that also means they'll last season after season. Get the info you need to make a set of your own in this week's eNote.